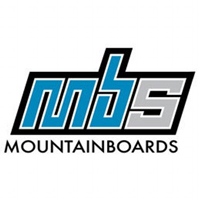 The MBS Colt 90 is an amazing entry-level to intermediate board that allows thousands of new mountainboarders and kiters each year to have a blast as they progress from beginners to winners. This is true now more than ever with this year's Colt 90 including several important upgrades that allow its riders to advance a bit further before they're ready to upgrade their beloved Colt. To begin with, we've completely overhauled the Colt 90's wheels. By upgrading tires to genuine MBS T1 tires with specially formulated high-rebound rubber material MBS has made this year's Colt 90 more than twice as fast as last year's, and by upgrading the Colt 90's tube material to high-grade butyl rubber we've reduced air loss and flats to little more than a memory. Other wheel improvements include genuine MBS rubber-shielded 12x28mm bearings and MBS' brand new FiveStar hubs. 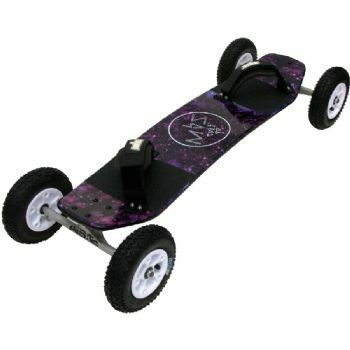 Finally, to prove we are serious about allowing this board to be taken to higher heights we also upgraded its ATS axles from 9.5 to 12mm to match the diameter of the Matrix. In addition to the obvious performance enhancements these upgrades offer they have made the Colt 90 more compatibile with the rest of the MBS line so the choice to one day upgrade your hubs or trucks is as simple as that. We've replaced compatibility charts with true compatibility. My dogs and I love it!